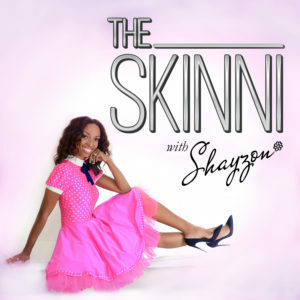 In this episode of “The SKINNI”, Style and Beauty Expert, Host, and TV personality Shayzon talks all about starting over: it’s NOT too late to be who you want to be! It’s your time to shine and curate your ideal future. Thank you for another excellent show. I can do relate to a lot of things that you discussed. I love that acronym of FEAR. Thank you so so much for always sharing your feed back on the shows! I really appreciate it and truly appreciate you too.